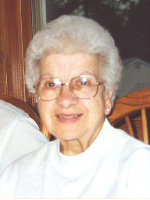 ALBANY – Concetta M. “Connie” Testa, 89, of Albany, died Saturday, July 31, 2010 at her home with her family at her side. Mrs. Testa was born in Albany, the daughter of the late Antonio and Rosaria Ravida, and lived here all her life. She was employed in retail sales for several area stores, and was a communicant of St. John’s Church and All Saints Catholic Church (the former St. Margaret Mary’s Church). She was active in her churches and was a member of the church Rosary Society. Mrs. Testa is survived by her beloved husband of 70 years, Alfred V. Testa; her sons Rosario “Ross” Testa (Donna) of Guilderland, Anthony Testa (Connie) of No. Easton, MA, and Alfred D. Testa (Sue) of Albany; her grandchildren Michael Testa, Allison McHugh, Stephanie Ballard, Alfred V. Testa, and Andrea Hallock; her great grandson Tyler Domings; and by several nieces and nephews. She was predeceased by her sister Mary Scaringe. Funeral services will be held in the Hans Funeral Home, 1088 Western Ave., Albany, Thursday morning at 8:45, and from there to All Saints Catholic Church (the former St. Margaret Mary’s Church) at 9:30. Relatives and friends are invited, and may call at the funeral home Wednesday from 4-8 p.m. Interment will be in Our Lady of Angels Cemetery, Colonie. 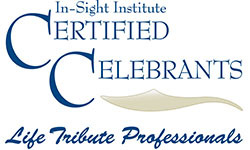 Those who wish may make memorial contributions to Community Hospice of Albany, 445 New Karner Rd., Albany, NY 12205. To leave a message of condolence for the family, or obtain directions to the funeral home, please visit www.HansFuneralHome.com . So sorry to hear about your mom. Our best to you.